ORIANA is one of the finest Burger's ever built and was Henry Burger's pride and joy. ORIANA is currently installing an Air Conditioning system. 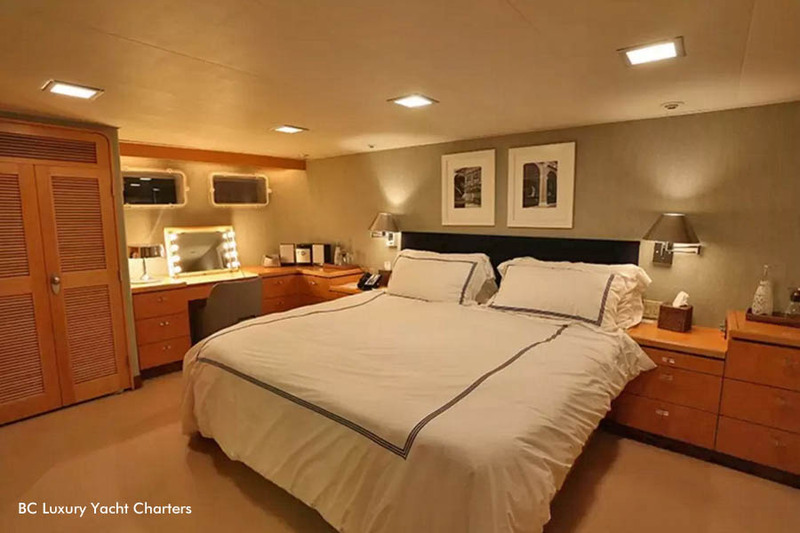 • Master stateroom with King bed and ensuite bathroom with two sinks and bathtub/shower. • Guest stateroom with one large Double bed or two Twin beds and ensuite bathroom with shower. 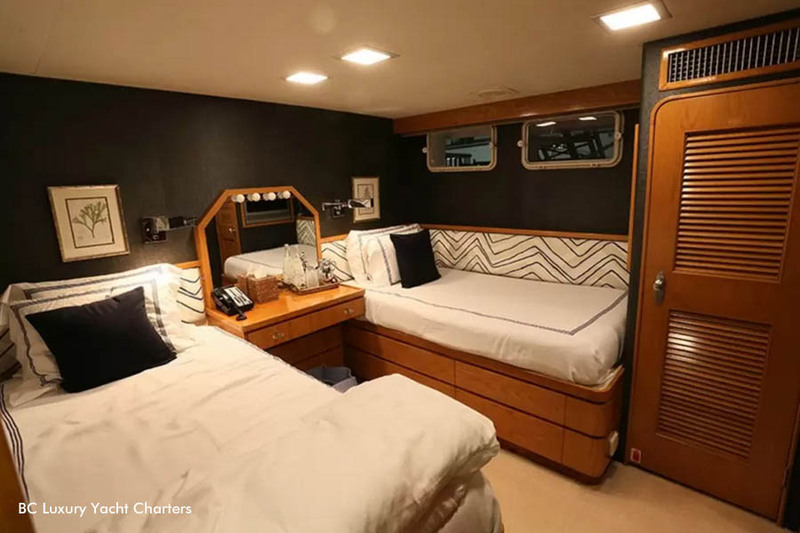 • One guest stateroom with criss-cross Twin berths. This stateroom has a sink and toilet only. 6,600 gallons / 25,000 litre fuel capacity. ORIANA was the second Burger for her original owner. Subsequent owners had owned Burgers previously and sought out ORIANA for purchase because she is a very special Burger. The last previous owner was John Calley, a Hollywood mogul who was at various times chief of Warner Brothers, United Artists and Sony Pictures, working behind the scenes on everything from "The Towering Inferno" and "A Clockwork Orange" to "Superman" and "Jerry Maguire." In his estate, he decided that the proceeds from the sale of all his boats and antique cars would go to a foundation that creates scholarships for underprivileged kids." The large main salon has two L-shaped settees and wicker lounge chairs. On the forward bulkhead is a stand behind bar and four stools. The salon is bright and airy with large windows on the sides and rear. Aft of the salon is the aft deck with an expanding dining table. The aft deck can be open on three sides, fully enclosed with Eisenglass or partially opened with 6 zipper panels. The joinerwork is above the standard for other Burger's of this vintage. The dining room and master stateroom are Birdseye Maple. The rest of the joinerwork including the pilothouse is natural Oak. There are Burl inlays on the aft passageway; salon furniture and forward salon bulkhead. All the joinerwork is nicely matched with tight, well done seams. 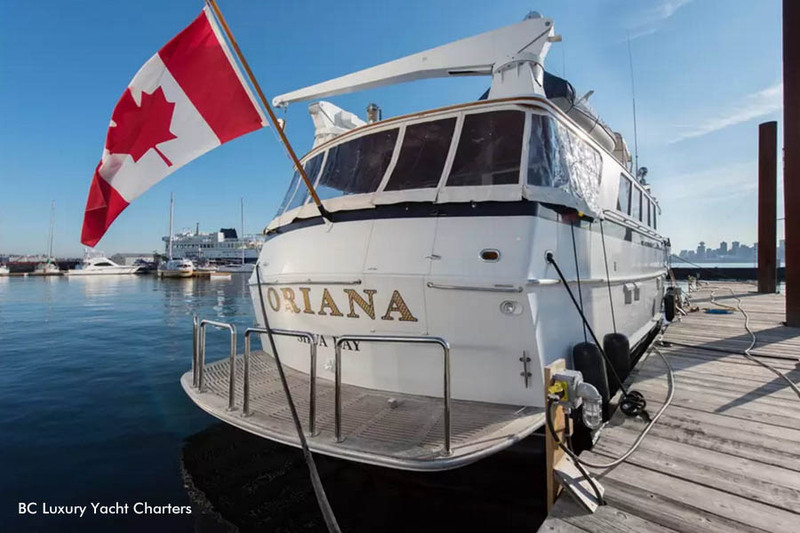 In 1986 ORIANA was lengthened by 5' by Bradford Marine as designed by J.B. Hargrave, the yacht's original designer. The extension transformed the original cockpit to an aft deck, extended the boat deck. The original lazarette under the cockpit was transformed into a huge storage room with refrigerator and freezer. The aft deck has a fold-down set of steps to the swim platform creating the same utility as the new Euro-transoms, but with the ability to close in the aft deck with Eisenglass when needed. From the exterior, the stairs are invisible when up and all one sees is a traditional transom. ORIANA has a powerful, economical, displacement hull, which differs from the shallower bilge, semi-displacement hull of most Burgers. Her power and torque allows her cruising speed to be made in rough seas, where displacement yachts with smaller engines can only make 8 or 9 knots. She has adequate fuel and the correct engines for long range trips, this design also features a larger engine room, with engines placed low in the engine room for more stability. 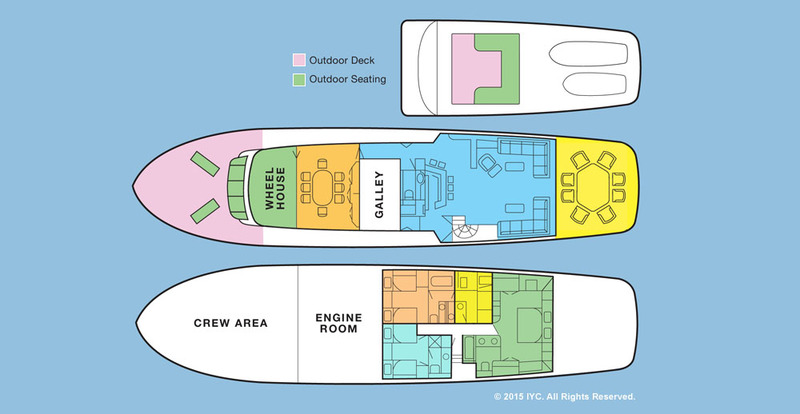 Larger crew quarters and storage below the crew quarters also result from the hull design and the raised foredeck. 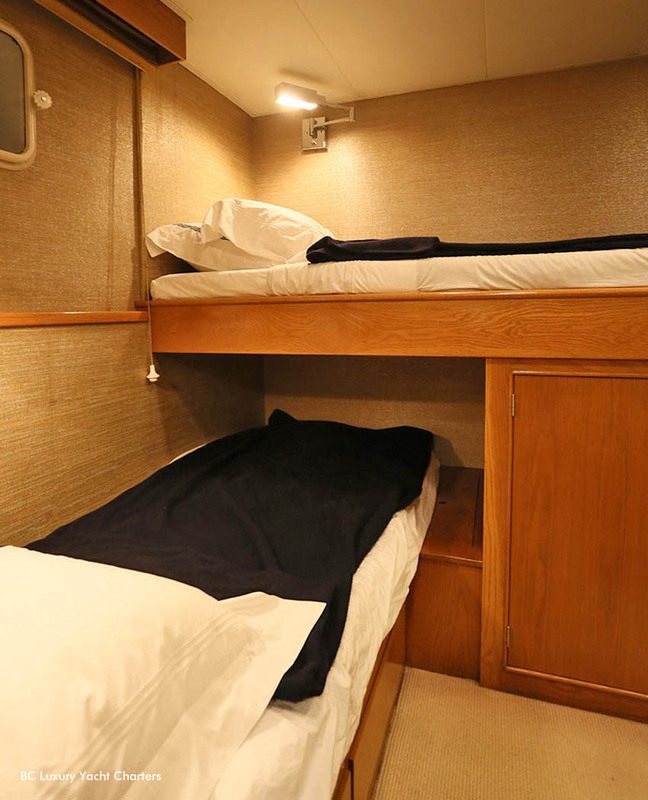 Up to 5 crew can be accommodated with 2 bathrooms, 2 showers and separate Captain's quarters.